OnePlus 6T will have a barely-there notch at the top of the screen that makes the cut-out at the top of the Apple iPhone XS seem comparatively ginormous. The new teardrop-like notch was revealed in the first full-frontal leaked images of the upcoming handset, which is tipped to launch later this month. 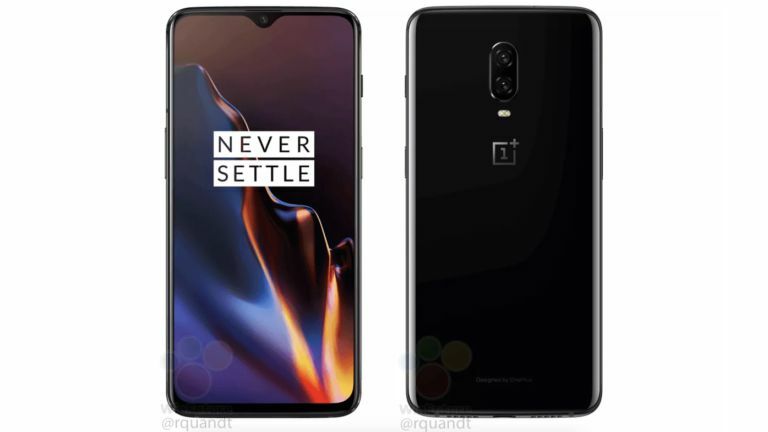 New images shared by technology blog WinFuture purportedly reveal every inch of the OnePlus 6T, including the new smaller notch at the top of the display. The shrunken cut-out in the screen gives the smartphone a charming, cyclops-like appearance that should allow much more space to add notification indicators and information in the status bar along the top of the display. The notch used in its predecessor, OnePlus 6, took up around a third of the space at the top of the screen. By comparison, the notch used for the OnePlus 6T looks set to be much smaller – barely large enough to cover the selfie camera, let alone the proximity sensor, or front-facing speakers. If the design of the OnePlus 6T looks at all familiar, that's probably because the new handset looks eerily similar to the Oppo F9, unveiled this summer. Although OnePlus is an entirely separate company from Oppo, the two firms share a common investor. As a result, OnePlus is allowed to access certain aspects of the Oppo's supply chain – including some technologies and designs. Aside from the barely-there new notch, the other dramatic design change between the OnePlus 6T and the OnePlus 6 is the removal of the fingerprint scanner on the back of the device. OnePlus has already confirmed its new handset will be unlocked with a fingerprint sensor embedded beneath the glass display. "We unlock our phones multiple times a day, and Screen Unlock reduces the number of steps to complete the action. By adding this feature as an addition to other display unlocking options such as Face Unlock, users will have options to unlock the display in a way that is most efficient for them." The Chinese smartphone start-up has also confirmed it will ditch the 3.5mm headphone port from the OnePlus 6T – a first for the company. In a recent OnePlus 6T price leak, the cost of all of the forthcoming accessories for the flagship smartphone was revealed. Included in the accessory list is the USB-C to 3.5mm headphone jack adapter needed to connect older wired earbuds to the new smartphone. The new adapter will set phone owners back €8.95, which is around £8 or $10.35. However, OnePlus has confirmed it will include one of these dongles free in the box with the handset. Elsewhere, the leaked accessory price list also includes a reference to a pair of USB-C Bullets Earphones, which will presumably replace the £15.99 ($19.95) OnePlus Bullets V2 wired earbuds currently available from OnePlus. Little else is known about the OnePlus 6T. However, presumably it will ship with the same Snapdragon 845 chipset and 6GB of RAM as its predecessor. The phone should launch with Android 9.0 Pie as well, since the OnePlus 6 has already been updated to the latest Google mobile OS. As for when it's likely to hit the shelves, most rumours point to a mid-October announcement.